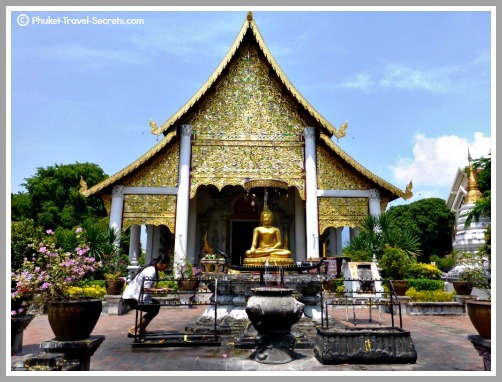 Wat Chedi Luang is another must see temple in Chiang Mai. We stumbled upon this old temple completely by accident as we were strolling through the streets within the old city walls of Chiang Mai. We had already spent the best part of the day exploring temples and by this stage you could say that we were somewhat “templed out” and in need of respite from the searing heat. Fortunately we opted to go in and have a look around! 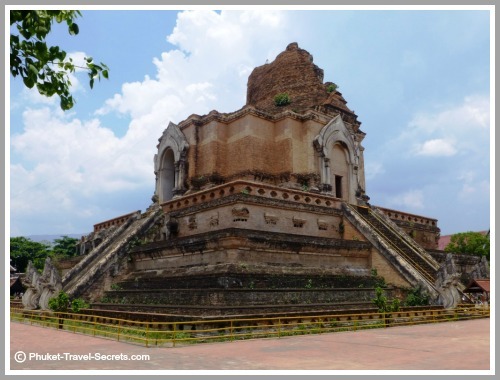 As it turned out Wat Chedi Luang was one of our favorite temples and I would have to say one of the main attractions within the Old City Walls of Chiang Mai. On all four sides of the Chedi are large Naga Serpent staircases, at the top of these stairs you can see Buddha Images set within the niches. Wat Chedi Luang is also known as the Jedi Luang or the temple of The Great Stupa. 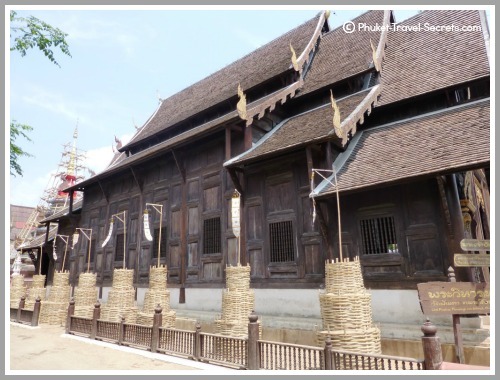 This historic site dates back over 600 years; first constructed in 1391 during the reign of King Saen Muang Ma. 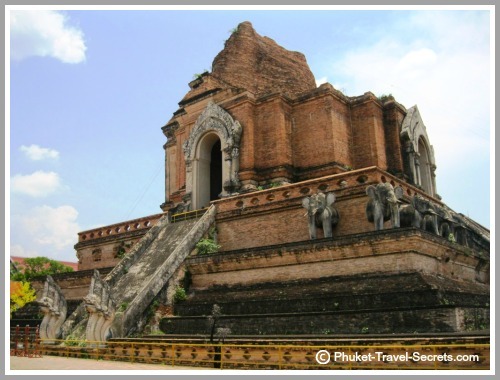 Over the years the Chedi was reconstructed and enlarged before being partially destroyed in 1545 by an earthquake. 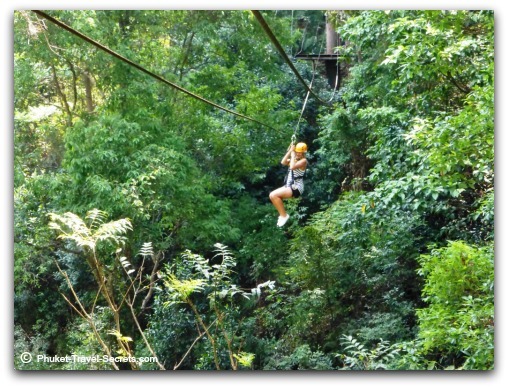 Funds were allocated in 1990 to the Fine Arts Department for restoration work to be done. The work was finished in 1992; unfortunately total restoration was never completed. Chedi Luang was an important temple as it housed the Emerald Buddha, Thailand’s most treasured Buddha image for 80 years; today in its place is a replica copy which can be found in the eastern niche of the Chedi. As you enter the temple complex you will first come across the main Viharn which is pictured above, this building was constructed in 1928. 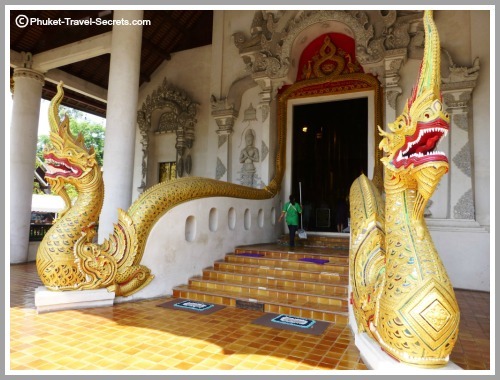 As you enter the main Viharn take note of the magnificent methodological serpents that wind their way up the stairs and around the doorway. 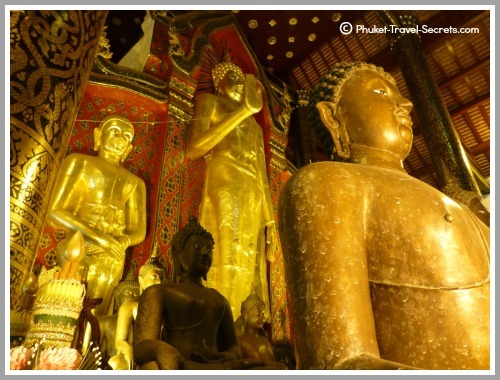 Within this main Viharn is an enormous standing Buddha, known as Phra Chao Attarot. 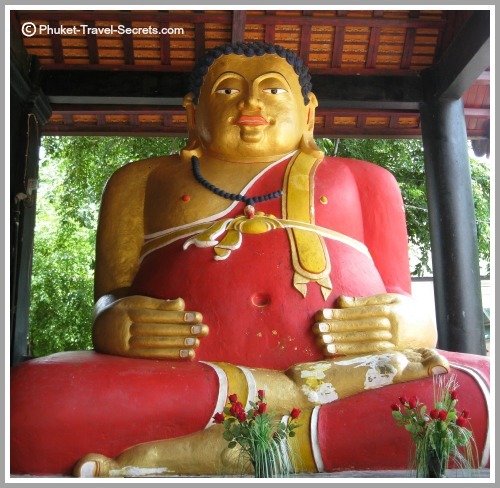 This Buddha statue is so large that it dwarfs the other Buddha images around it, the building is very impressive and remains an active place of worship. Also on the temple grounds is the City Pillar of Chiang Mai. There are also some smaller buildings throughout the grounds of the Great Stupa that are interesting and worth exploring. Definitely worth exploring is the Venerable Acharn Mun Bhuridatto Viharn pictured above with its eye-catching architecture. 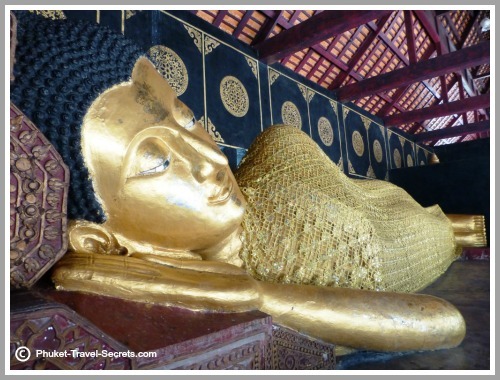 Another interesting image is that of the Reclining Buddha, which is pictured above. The Reclining Buddha is situated in an open sided pavilion just near the Chedi. 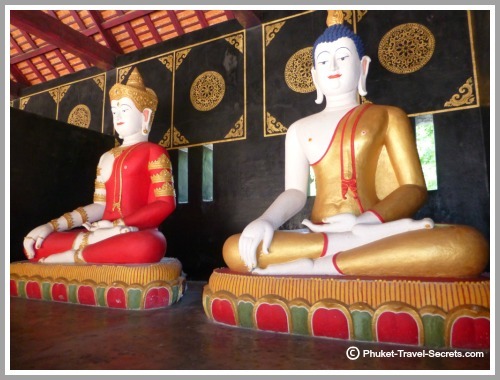 Just to the right of the reclining Buddha is a couple of other Buddha images including the Sangkhachai Buddha. Other buildings within the temple complex include the Lanna Campus of the Mahamakut Buddhist University and a Monk Chat Club. The monks welcome you to sit and talk with them about Buddhism, their way of life, Thai Culture or anything that you would like to talk about. 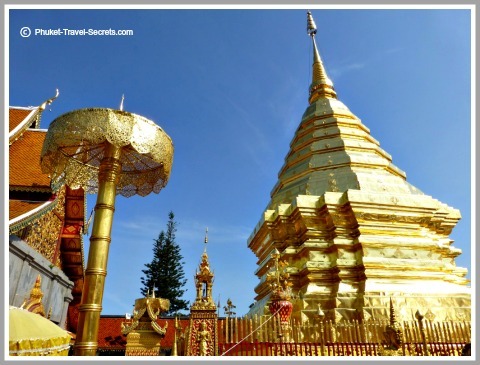 Wat Chedi Luang is located in Phrapokklao Road in the heart of the Old City Walls of Chiang Mai. 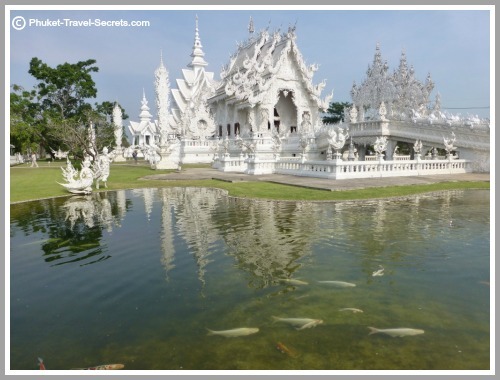 Whilst on your temple tour take a look at Wat Phan Tao, this temple is located right next to Chedi Luang. 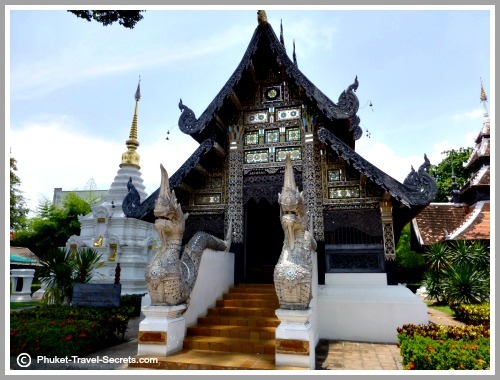 Another temple that you should add to your list of temples to see in Chiang Mai is Wat Phra That, located on the outskirts of Chiang Mai.